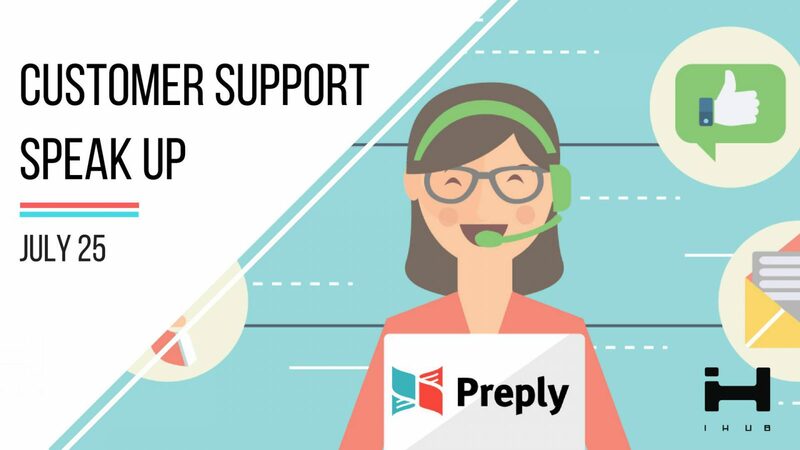 We are inviting you to join the first meetup for Leaders of Ukrainian Customer Support teams organized by Preply and iHUB. Customer Support Speak Up will be held in a lightning talk format with active interaction with the audience, as this is the best way to find the answers to the most requested questions and get to know other experts from your sphere. The confirmation letter will be sent with all of the further details. If you’d like to become a speaker to participate in our panel discussion, please fill in the speaker’s application form via this link: https://goo.gl/forms/ZXfEiC37uANh4qPM2.